Having a versatile design, this helmet combines light weight and maximum protection. The chin strap might loosen a bit. 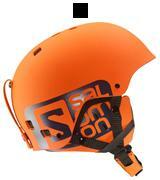 It is an excellent choice for true ski and snowboard lovers to safely scale the loftiest heights! Its soft and anti-microbial inner padding provides the ultimate comfort and disinfection. It sits quite high on the head, so a forehead stays exposed. 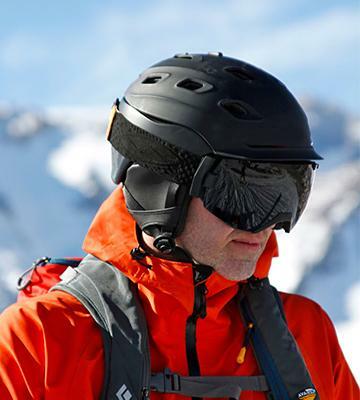 The Ultrasport Pro Race Ski/Snowboard Helmet will make you feel comfortable and totally protected! This hardshell helmet is super versatile since can be also used for summer sports like mountain biking. A small number of vents. 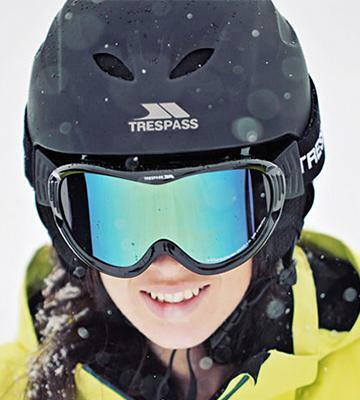 This Trespass helmet is an affordable yet reliable winter equipment to rush down the slopes. The ability to use the helmet with audio headphones guarantees more fun during downhill skiing. Asymmetrical ducts on the top don't allow mounting cam brackets. This stylish helmet is compatible with audio systems to provide music lovers with their favourite tracks. 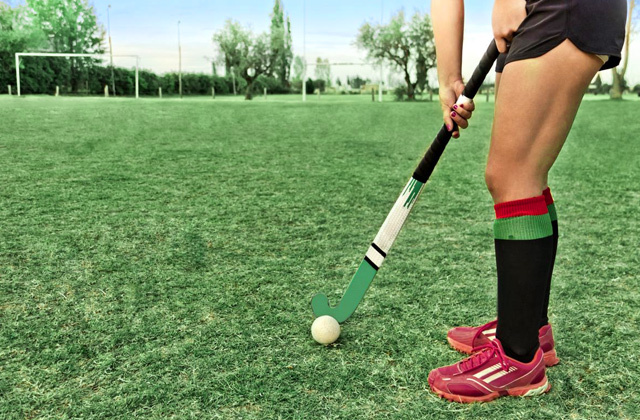 The hardshell helmet design offers great shock absorption and impact resistance. It can make your head look rather big. This helmet boasts a thought-out design with a 360° adjustable dial that will always provide you with a perfect fit! The Smith company has done its best to make the Men's Vantage Ski Helmet both light and maximally safe. It is a hybrid shell, and due to such design, it became possible to reach a compromise between these two most important features. 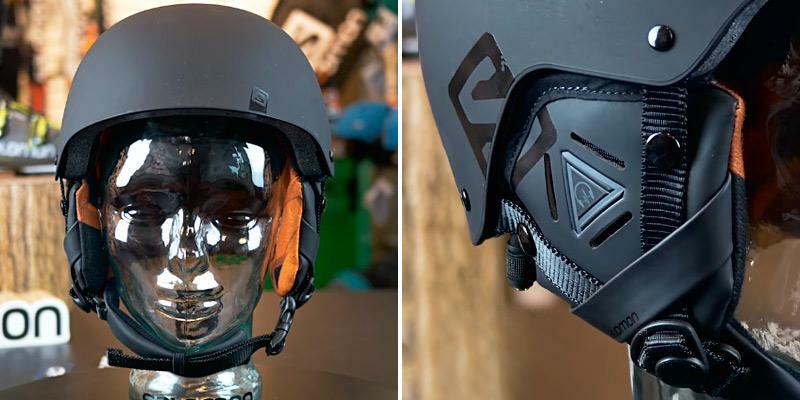 This helmet is perfect for fans of downhill skiing and snowboarding. 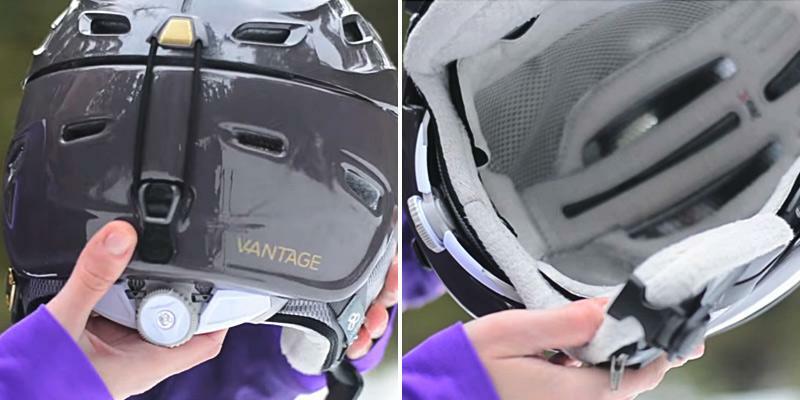 The Men's Vantage Ski Helmet uses special Aerocore technology which will protect your nape from possible injuries in case of fall on your back. Being a winter model, the Smith helmet provides tremendous protection from cold even at the lowest temperatures. 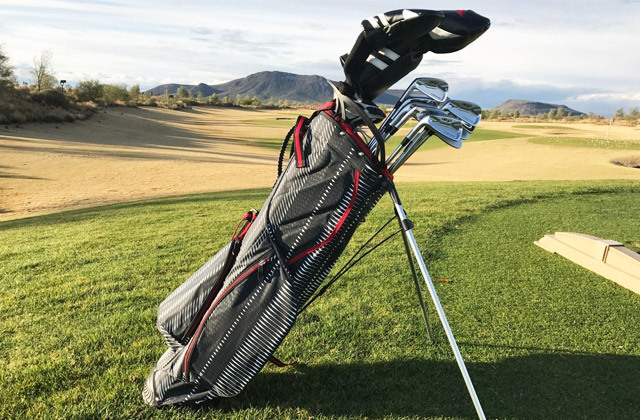 Its interior boasts an innovative Nanosilver Performance technology that fights bacteria, making the lining always clean and safe for a user. The Smith engineers have paid particular attention to the helmet ear pads and made them very soft and comfortable. Plus, they will perfectly protect your ears from strong gusts of wind, though, if you want, you can simply detach them. Great value for money! The Helmet Ultrasport Pro is a blend of the safest solutions. Having the In-mold structure, the helmet is pretty light, robust and reliable. The helmet is fitted with Agion anti-microbial lining that uses disinfecting silver ions and ceramics to prevent odours and bacteria. In addition, this lining keeps the heat really well. 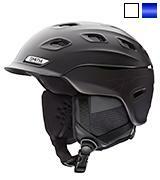 Like most helmets, this model has a good ventilation system with adjustable vents equipped with a mesh guard. 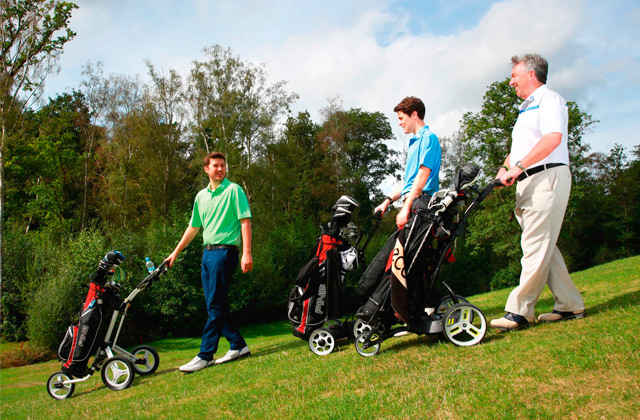 So, you will feel cosy and comfortable under different weather and climate conditions. The padded chin strap provides all-round protection, while soft removable ear pads provide better acoustic! Want to stay comfortable all day long? 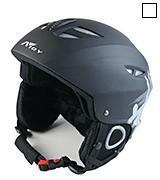 Get the Ultrasport Pro Race Ski/Snowboard Helmet! If you want to provide an ultimate protection not only for your head but for your eyes as well, get ski goggles. They can secure your eyes and improve visibility, which is especially opportune for different weather and lighting conditions. We couldn't pass over this fantastic helmet from the famous British manufacturer, Trespass, praised for its high-quality products. 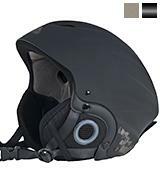 The Trespass Sky High Snow Sport Helmet has a robust and, at the same time, light outer shell made of ABS material. 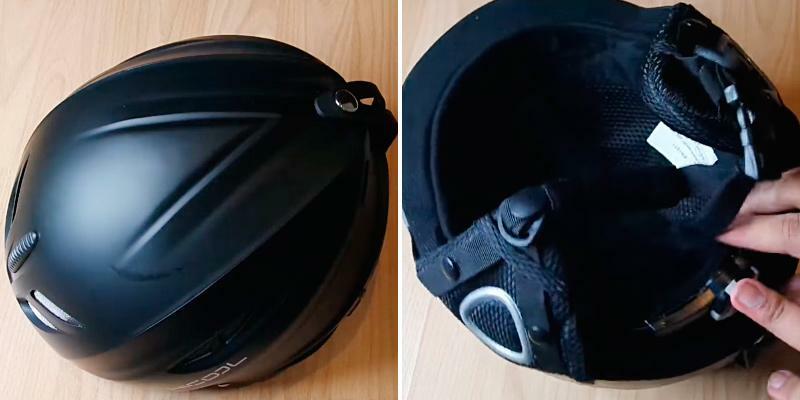 The thick plastic protects the helmet from deformations, while the inner removable EPS lining works as a shock absorber. Being quite a budget-friendly model, the helmet offers a great protection level. The helmet boasts a removable fleece snow cap and earmuffs. Thus, your ears and head will be well protected from wind and cold. Note that you can easily unsnap earmuffs and remove the fleece cap to use the helmet for mountain biking, cycling or skateboarding in warm seasons. Note that the helmet also has a good ventilation system, allowing you to stay comfortable regardless of the weather. The model is presented in two sizes only (M and L), yet it's pretty adaptive and can fit snugly almost any head size. 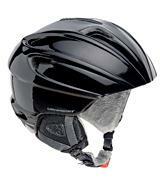 Be active with the Trespass Sky High Snow Sport Helmet! The Best Helmet for Music Lovers! 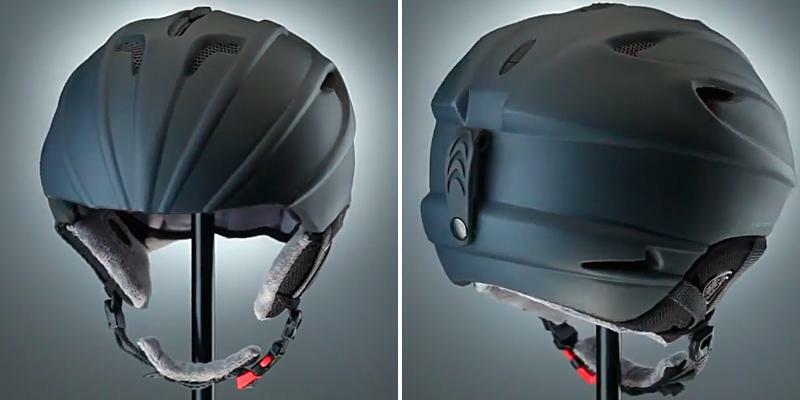 The well-known French company, Salomon that specialises in producing high-quality equipment for skiers and snowboarders, presents us their vision of security, namely the Adult Unisex Helmet for Skiing and Snowboarding. This model boasts ABS injected shell and EPS inner shell providing outstanding durability and shock absorption, which undoubtedly makes this helmet one of the most secure solutions available on the market. Plus, its padded chin strap ensures all-round protection without abrasions and chafing. Note that the inner lining can be replaced with your hat or can be washed in a washing machine. The helmet comes in 4 fresh colours to complete your stylish look. However, it's not the bright design and high protection level only that make this helmet special. This adult helmet is compatible with audio systems. 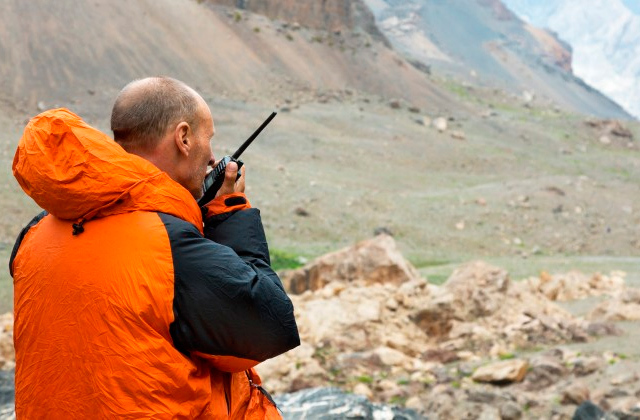 So, all music lovers are welcome to conquer mountain slopes, enjoying their favourite tracks on the move! The Hicool Unisex Adult Ski Helmet has everything to satisfy even the pickiest users, providing them with maximum safety and comfort. Needless to say, when we rush down the slope, a great amount of adrenaline gets into the blood, which results in some sweating. In order to prevent this, the Hicool helmet has an adjustable ventilation system consisting of 8 vents which will get you rid of the excess heat only. 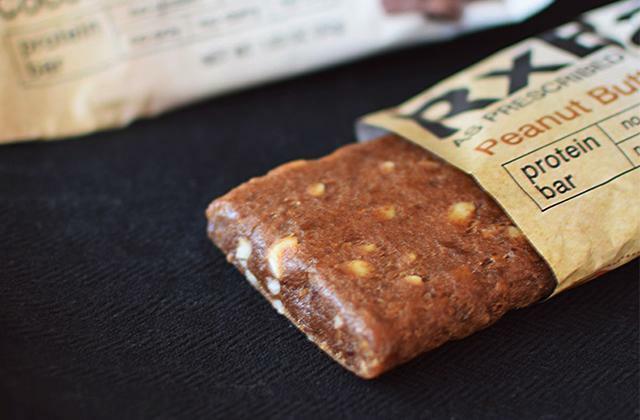 So, you'll stay cool and won't sweat regardless of the weather conditions. The bonus? 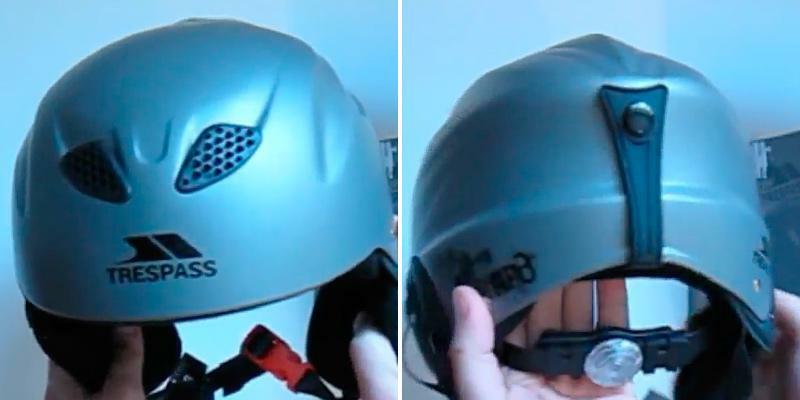 Since the holes are symmetrically placed at the front of the helmet, you can conveniently mount your GoPro in them to take unique photos and videos of your adventures in the mountains. Soft ear pads and a chin strap will deliver you the ultimate comfort. The ear pads and inner lining can be easily removed and washed in a washing machine without shrink and fade! As for the safety features, the Hicool Unisex Adult Ski Helmet is made of ABS plastic and EPS inner shell, which will provide the strongest impact resistance. Get it and be a step ahead in injury prevention! 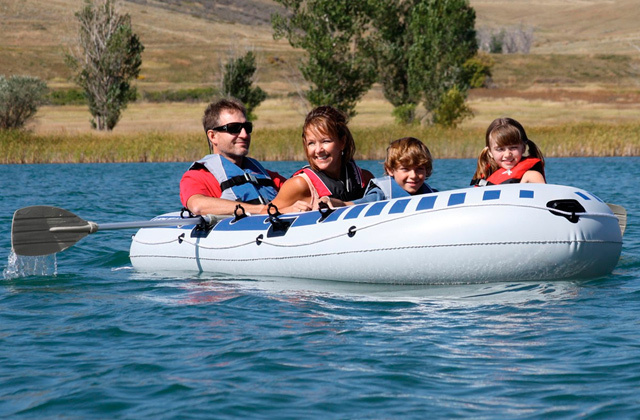 If you are a fan extreme sports like skiing or snowboarding, you need a good equipment which ensures not only safety but also additional convenience. And one of the main pieces of equipment is a helmet since it protects your head and sometimes even life in case of falls. That's why in many countries, a helmet is an essential thing on ski resorts. You should also know that insurance companies may refuse to give an insurance payout if the injury happened while skiing without a helmet. So, in our review, we will consider the best helmets available on the market. The main feature of ski helmets is their adaptability to the lowest temperature conditions as well as the ability to be used with other ski equipment like ski goggles, balaclavas, etc. 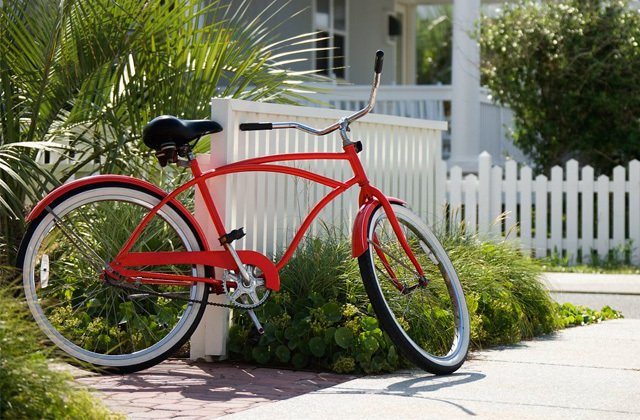 For fans of extreme cycling, we advise to consider bike helmets as well. The helmets can be divided into tree types: Half Shell, Full Shell, and Full Face. 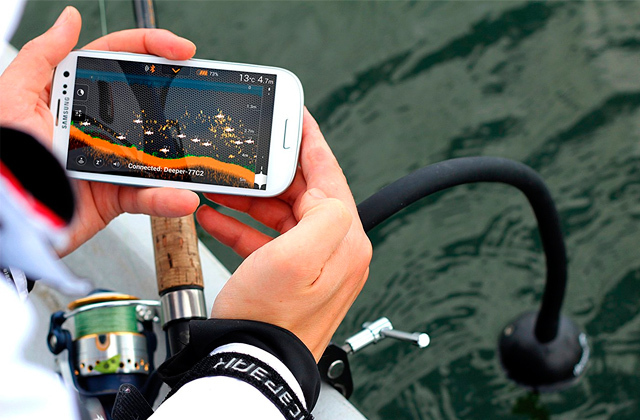 Full Shell - is best suitable for professionals. Such helmet provides complete coverage. 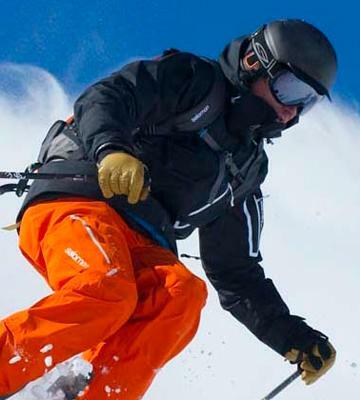 If you ski fast, performing new tricks, such helmet guarantees full ear coverage, which increases protection. 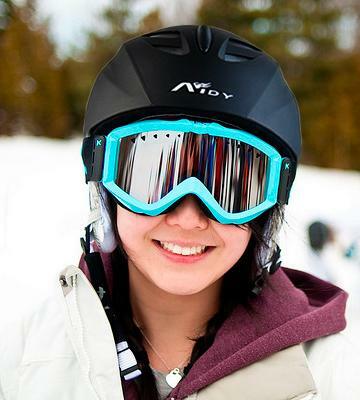 Full face - is a necessity for extreme sports lovers. Externally it looks very similar to a motorcycle helmet. Such helmets provide the best protection, they are designed in a solid one-piece shell with a chin guard and a visor. Full-face helmets are usually worn by big-mountain skiers. Half Shell - this type of helmet has soft ear pads. As a rule, liners and pads are removable and washable. 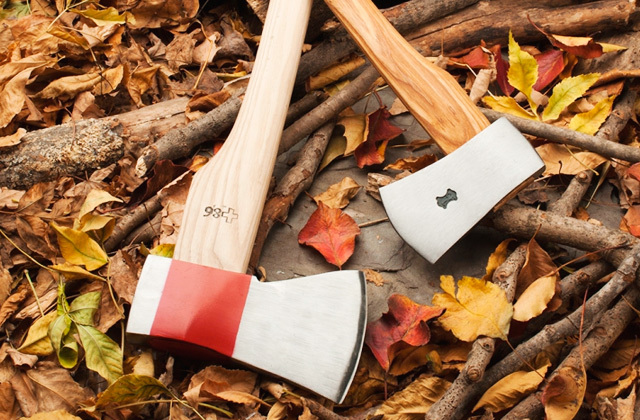 Unlike full models, it weighs less. This type is optimal for skiers of all abilities. In-Mold Shells boast a relatively thin outer shell made of hard plastic. Inside an in-mold shell, you will find EPS foam inners that absorb impact. Hard-Shell helmets are made of thicker ABS plastic. The interior has a hard foam that is glued with the exterior. Such helmets are more durable than in-mold helmets. Hybrid Shells combine properties of In-mold and Hard-Shells. They use the same design as In-mold ones, but with added hard ABS plastics to provide maximum safety. Also, it is important that a helmet meets at least one of three certification standards: CEN 1077 (Common European Norm, CEN), Snell RS-98 (Snell Memorial Foundation). 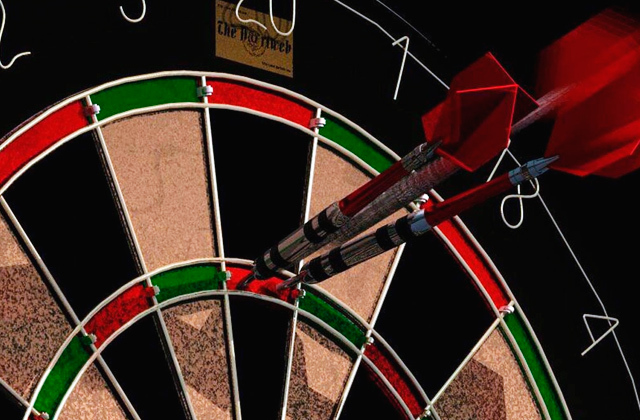 These standards include the tests for impact resistance at various speeds, air temperature, pressure and humidity. Also, consider the conveniences as they add extra comfort. 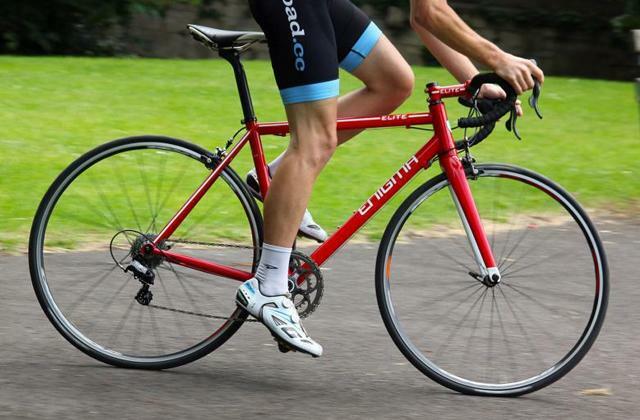 Pay particular attention to fit adjustment and ventilation system. Ventilation can be both adjustable and non-adjustable. The first is perfect if you aren't going to ski the whole day, while an adjustable system is a must if you want to spend long hours on the slopes. We also recommend taking into account some other features such as the availability of special mounts for balaclavas, goggles, GoPros, etc. 1. Ski and Snowboard Helmets: How to Choose, REI. March 12, 2014. 2. Jediah Porter How to Choose a Ski or Snowboard Helmet, OutdoorGearLab. January 27, 2015. 3. Ski/Snowboard Helmet Size & Fit Guide, Evo. 4. The importance of wearing helmet, Manorama. October 23, 2015. 5. Steve Kopitz Buying Guide for Ski Helmets, SKIS.